You might remember the experimental new tab page that has been tested by the Chrome team for many months. The new tab page will be replaced by a simplified version of the Google homepage, most of the features of the new tab page will be relocated, while the search box will be removed from the Google Search interface and replaced by the Chrome omnibox. The latest Dev Channel/Canary releases show this box with information about the new tab page: "Changes to the New Tab page". 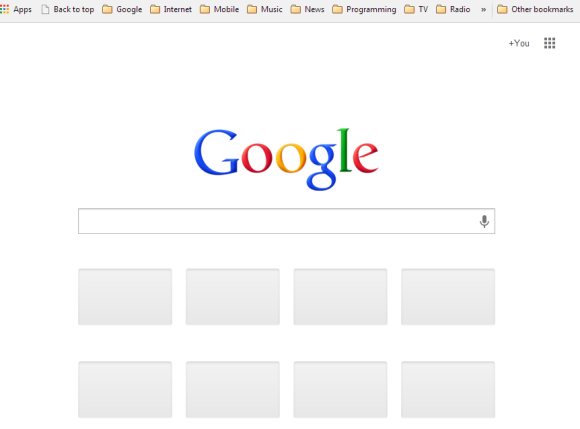 * Get the Google Doodle and other features of Google.com on any new tab you open. * Use the Chrome menu to get your recently closed tabs from any site you're on. * Access your Apps by clicking on the Chrome App Launcher icon in your Windows Taskbar or the Apps icon in the bookmarks bar. It looks like the updated new tab page will be released in the near future and it will bring a lot of other changes: Chrome's app launcher, more packaged apps, a new Google Search interface without the search box and a new navigation interface for Google that uses the app launcher menu. 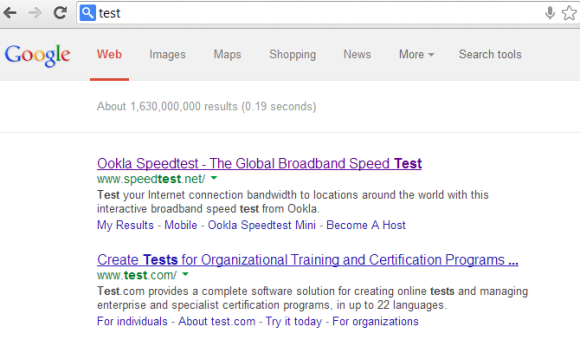 The 8 empty boxes from this screenshot are used to display the most visited pages. It's the only feature from the old NTP that has been preserved. There's an apps icon in the bookmarks bar that links to a page that displays your apps, while the recently closed tabs and the tabs from other devices are displayed in the Chrome menu, below the bookmarks. To try the experimental new tab page, paste this in Chrome's address bar: chrome://flags/, use Ctrl+F to search for "Enable Instant Extended API" and click "Enabled" in the drop-down below "Enable Instant Extended API". Then click "Relaunch now" at the bottom of the page to restart Chrome. To disable this feature, use the same instructions, but click "Disabled" instead of "Enabled". 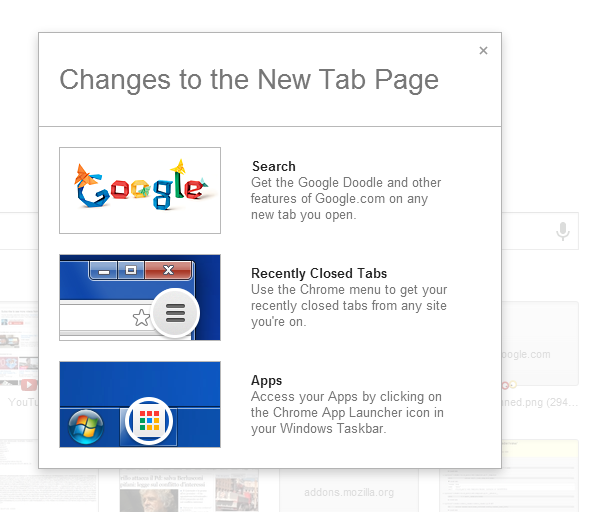 Update (February 22, 2014): In Chrome 33 or later, you can no longer disable the updated new tab page, but there are some workarounds.